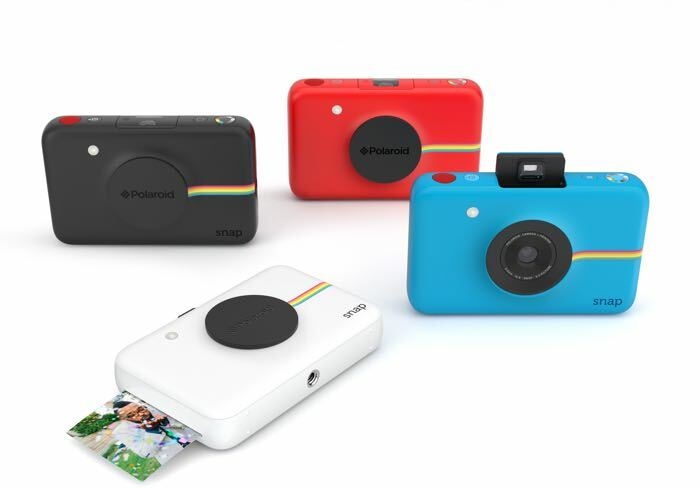 Polaroid has unveiled a new instant print camera at this years CES in Las Vegas, the Polaroid Snap+ and the camera will launch later this year. The new Polaroid Snap+ comes with a 13 megapixel CMOS sensor and as well as taking photos in can record Full HD video in 1080p. Like the Polaroid Snap instant print camera, at the heart of the new Polaroid Snap+ is an integrated printer using ZINK® Zero Ink Printing Technology, which gives users the ability to print full color, 2×3” prints automatically when an image is captured. With the new Polaroid Snap+, up to ten images can be queued to print at any time, so that photos can still be taken while prints are in progress. Of course the new Polaroid Snap+ is ideal for today’s selfie shooters thanks to a self-timer and the addition of a pop-up selfie mirror that ensures the user is framed perfectly in the shot. Additionally, the Polaroid Snap+ has three color modes—black and white, color, and vintage sepia—with the option to print with or without the Polaroid Classic Border Logo. It is also equipped with a 3.5 inch touchscreen display and it comes with a microSD card slot which supports up to 128GB cards. The new Snap+ will go on sales in quarter four of 2016, as yet there are no details on how much this new camera will cost.